Crunchy toasted bread, flavorful, juicy turkey and warm gooey cheese, who isn’t going to love this family favorite. The variety of layers to this sandwich give depth to the complex flavors you find by using these few, simple ingredients. This is such a quick and easy go-to recipe when you need dinner in a jiffy. Dice turkey and saute in a large skillet on medium-high heat. Once turkey is golden add tomatoes, parsley and cracked pepper. While turkey continues to brown, mix garlic and mayonnaise in a small bowl. Carefully carve the middle out of the submarine rolls and spread garlic mayonnaise inside. Fill roll with a generous helping of the turkey mixture and top with provolone cheese. Line cookies sheet and bake for 10-15 minutes at 400 degrees F.
notes: Make it an Albuquerque Turkey! 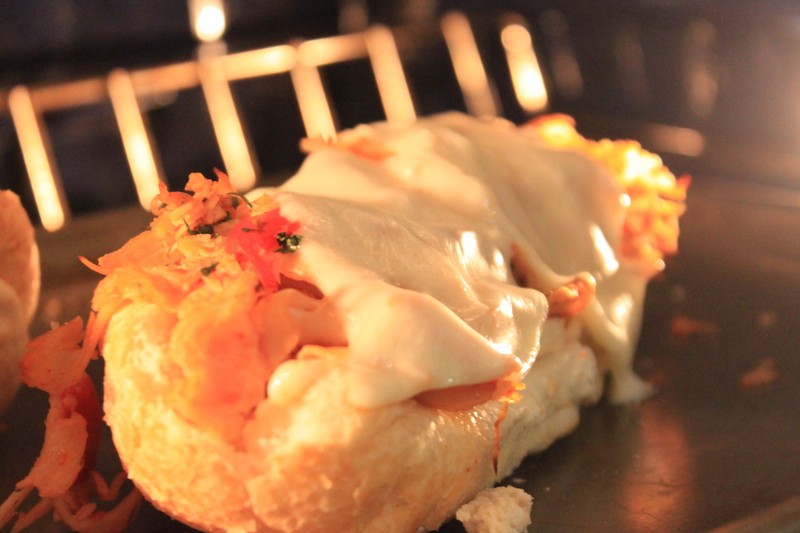 To give this Italian turkey a twist add green chile and changing the cheese to cheddar. … thanks again to my friends in Phoenix for hosting our fun-filled girls weekend! Love you gals!